World Health Organization Board members agreed last week on a draft resolution for the preparation of a United Nations General Assembly high-level meeting on universal health coverage in the fall, following intensive closed consultations in which intellectual property rights played a significant role. 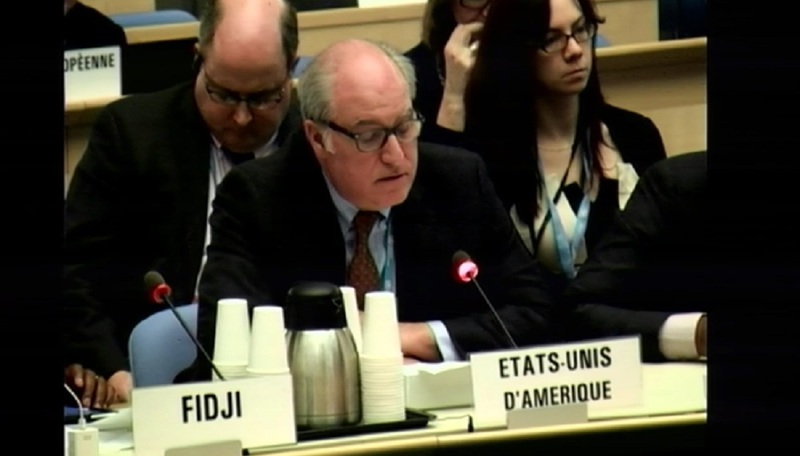 The delegate of the United States at the WHO last week. Separately, another difficult issues of the informal discussions was the issue of reproductive health, according to sources. On 1 February, The United States, although joining the consensus, said it wished to be dissociated from paragraph “PP6,” dealing with sexual and reproductive health. Read the full story on Health Policy Watch, here. "TRIPS Debated As WHO Board Reaches Agreement On Universal Health Coverage" by Intellectual Property Watch is licensed under a Creative Commons Attribution-NonCommercial-ShareAlike 4.0 International License.